Hey guys! I have a new DIY project for you! 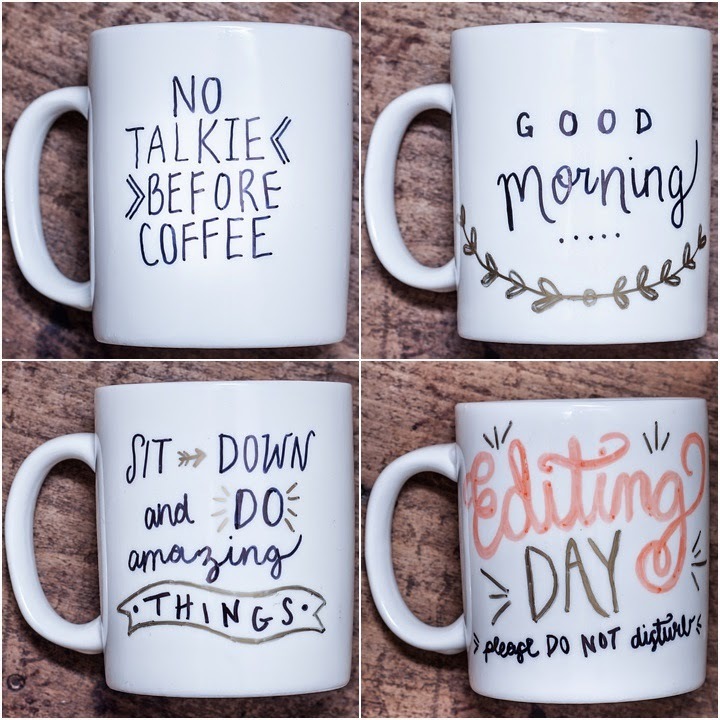 You will need: Sharpie permanent markers and plain white mugs or latte cups. I found plain white mugs at Michael's Craft Store for $2 each! 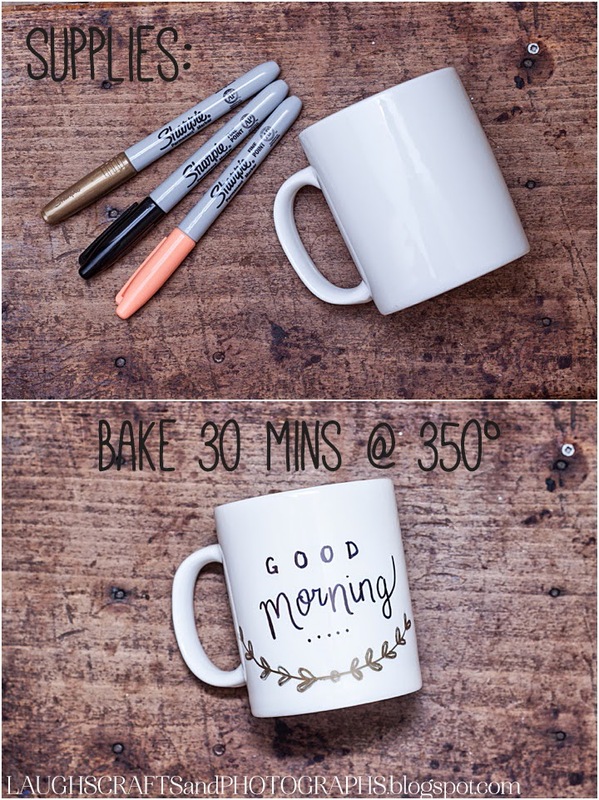 Use regular Sharpie, permanent markers to write whatever you desire on the mug or object of your choice. Put the mugs on a cookie sheet and put them in the oven. Set your oven to 350° and set the timer for 30 minutes. Let the oven preheat with the mugs in the oven. Do not wait for the oven to preheat before putting the tray in. If the mugs heat up too fast they can break. After the 30 minutes is up, turn the oven off and leave the tray of mugs in there to cool. I left mine in there over night because it was convenient. This entry was posted on Tuesday, June 24, 2014. You can follow any responses to this entry through the RSS 2.0. You can leave a response. I hear a common problem with regular sharpies is that they eventually wash off or fade. Have you experienced this? I made one for my grandma, and I used regular sharpies, and I told her not to put it in the dishwasher, just to protect and to make sure that it doesn't fade. So far so good with her mug. She just does a gentle wash when she uses it. She loves it. Fahrenheit or Celsius? It's great! I want to do it for my children! 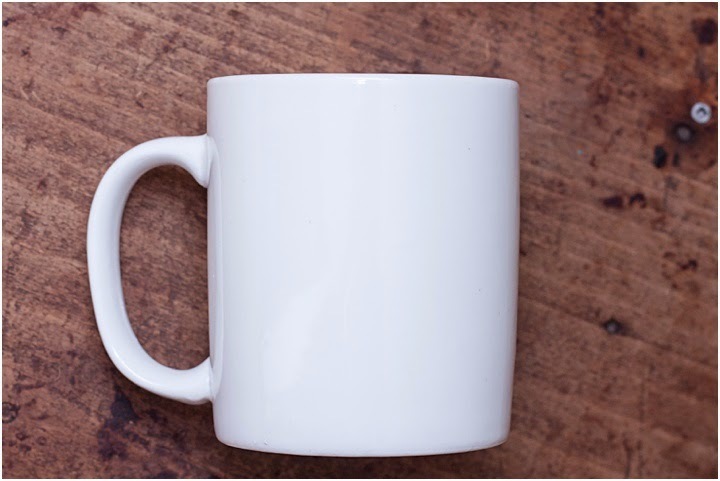 Such an amazing blog about the Coffee mug and I really appreciate you work which you have done well. Super blog and your presenting style about the App-controlled that's are very appreciated good work. I have heard that the color stays better with Sharpie Painter markers than with the regular kind. Have you tried that? If so what temperature do you bake them at? Everything I've read says DO NOT use regular sharpie pens. Use oil based paint pens. I bought a mug that has an image on it to color, and that's what its directions say too. Great ideas! Now I can make grandma coffee mug at my own with these lovely designs. Beautiful diy tutorial. I like. It's beautiful to have custom coffee cups.It really gives a special feeling and makes every cup of coffee special. This was a good writeup. A very nice idea and informative to create a mug. I thank you for sharing your thoughts and opinions on coffee mugs. It’s called PrintStop and they let you customise your mugs. I think that the one must have such amazing writing like you to do this haha! I will be ashamed to bake a cup with my writing rofl. That's why I would like to order my customised products from snapfish or cafepress and well, a snap fish promo code is a cherry on top! The website is usual choice of the people as their you find coffee mugs at very affordable rates. Gloss purple coffee cup can generally you can get at any online store as its one good looking which is good for gifting, or using it for household purpose. Green coffee mugs are one of a kind as they not only look strong and tasty but also the coffee drinkers have the taste of such mugs a lot. it bring back your memories when you are having coffee with your friend as it is such a thing that generally you keep on sipping it and the time passes by perhaps that is the best way to go with coffee. 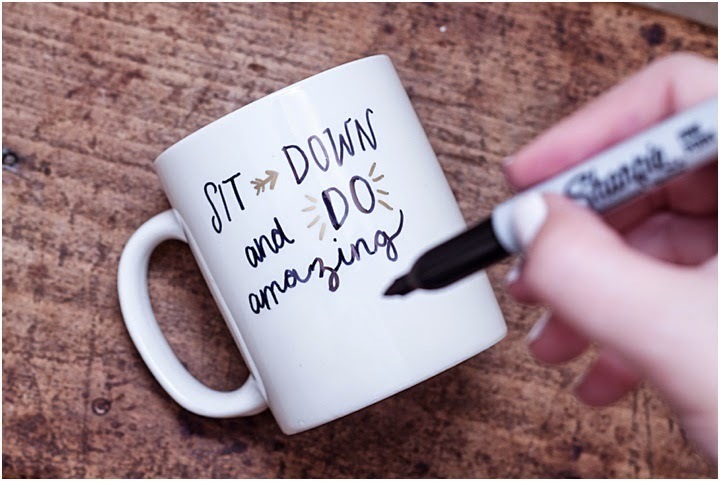 You can choose to add images to your mug, a design, your name or initials, an impressive or motivational quote, your favorite sports team, or even a simple bold color! With the black matte coffee cup, the overall look of your mug is reliant completely on what you want. A website that informs the audience about contact information about that particular company, their price for their services, their new innovations in the market, customer reviews about their website and other useful information that a customer wants before purchasing a service from a company. The best thing about these adorable matte black stainless steel coffee cup is its affordable nature. One can easily bear reasonable expenses for the effective purchase of these coffee cups. Got a design in mind for a mug? 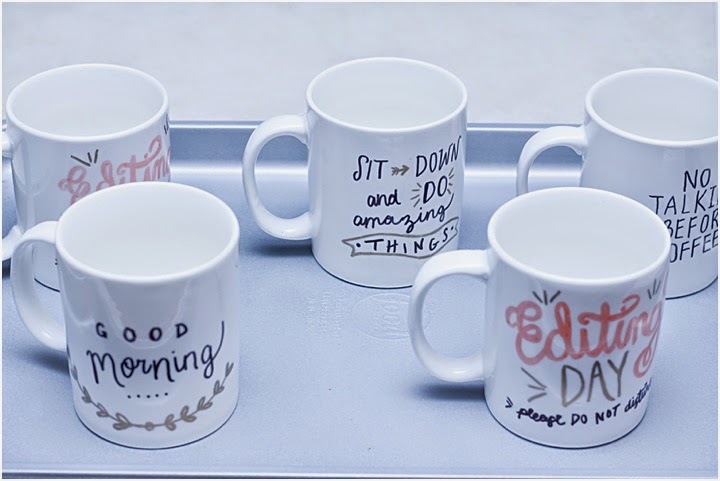 Whether it’s for you, for a special someone, or for both, you can now customize mugs easy! Design your own or choose from pre-made designs with the online creator. Have it ready from web to print photo on mug in one working day! 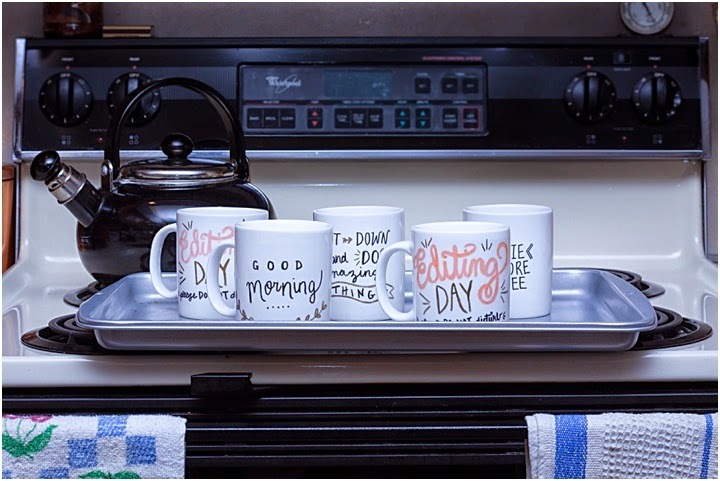 Personalized photo mugs are a unique way to surprise your loved ones. Tell your favourite people, “you’re the best”, every day. Print your special one’s photos on photo on coffee cups and gift your wife, husband, colleague, mother, father, girlfriend, boyfriend, boss or anyone. These how to place photo on coffee mug make perfect personalized gifts. Select from two classic colours and 30+ vibrant themes. 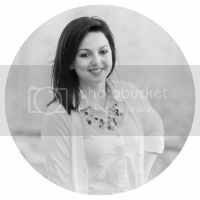 Blog Design by Nudge Media. Powered by Blogger.